The movie is a breath of fresh air addressing something that is always neglected or ignored in our society – A woman’s dream. Marriage, children and then, looking after them forces a woman to give up her dreams and re-prioritize her life. After a point of time, she sacrifices her identity and forgets to dream. Husband and children becomes her world; cooking and serving them becomes the only job. She never complains though. HOW OLD ARE YOU is a story about one such woman – Nirupama Rajeev – whose life changes after marriage and who dedicates everything for the welfare of her family until she is forcefully made to understand that she has stopped dreaming! Manju Warrier, as Nirupama is nosy and snobbish in the first half. She is teary and whiney; also uncertain and scared. She looks like any wife who is bored with the routine and life. In the second half, however, she is transformed into her old self who is confident and ambitious. Though, it seems like over-acting in the first half, she has performed brilliantly in the latter part. Kunjako Boban as Nirupama’s husband, Rajeev, has underplayed. He comes across as any other “normal” husband who sees wife as someone who is meant to cook, do daily chores and look after children. What makes this movie a worth watch is the clever and smart dialogs. They are realistic and funny too. Many a times, it is thought-provoking. Bobby Sanjay’s screenplay is swift although a little too over-exaggerated. Background music blends with the scenes. But, the songs fail to linger in our heart. I loved the costumes of Manju. She wears crisp cotton saris and looks very good! It will not only entertain you, but also makes you think. Who decides the expiry date of woman’s dreams? 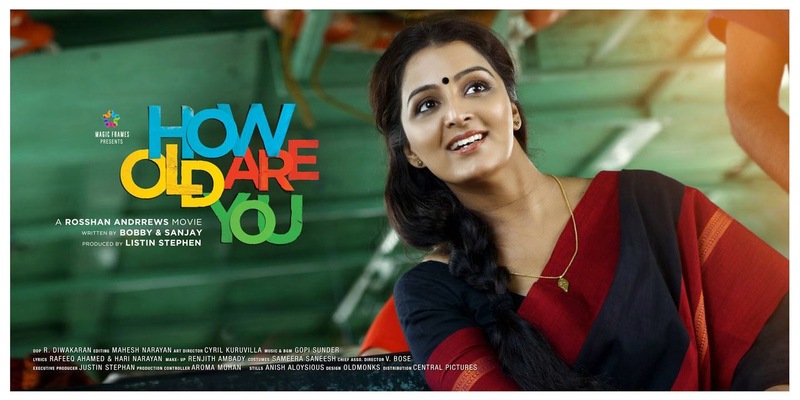 I have to tell you that Manju Warrier has come back with a bang!